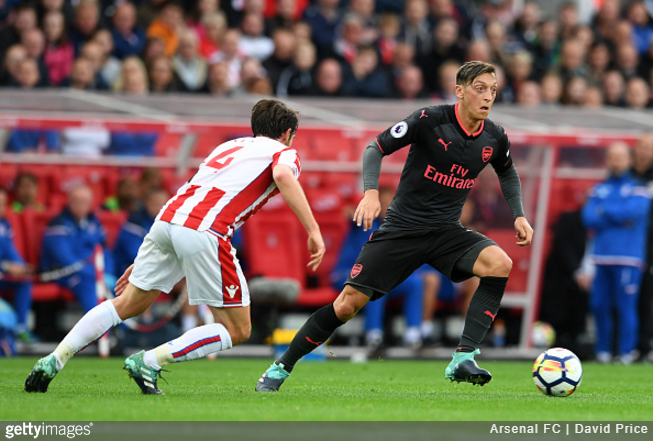 Despite watching his side amass 79% possession and muster a mighty eight efforts on goal, one Arsenal was suitably aggrieved by his side’s 1-0 loss at Stoke on Saturday that he felt obliged to report a sporting crime to the local police force. Unable to process the result like an adult, the irked Gooner in question took to Twitter to make the Stoke constabulary aware of a ‘robbery’ that had just taken place in broad daylight at the Bet365 Stadium. Oh great, the ongoing Anglo-anti-Ozil agenda has now reached institutional levels. What else can you do in the face of such wanton police brutality?